Hoppered Octahedrons with Trigons - Gold Crystal Specimen - - It's Free! 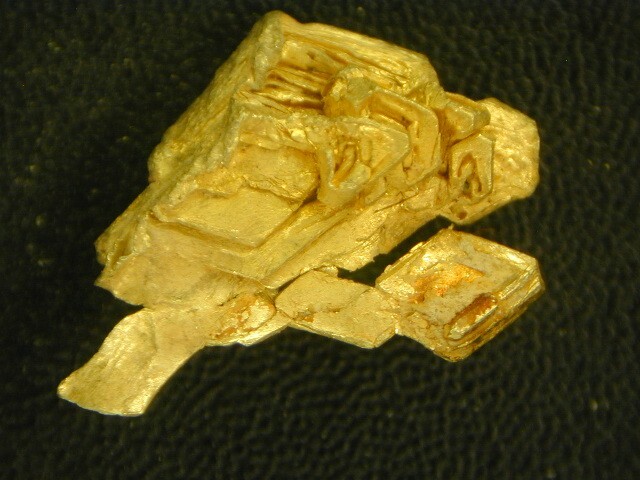 This Crystalline Gold Nugget Specimen from the Round Mountain Mine in Nevada is another one of my favorites. The hoppered octahedrons are very unique and beautiful. 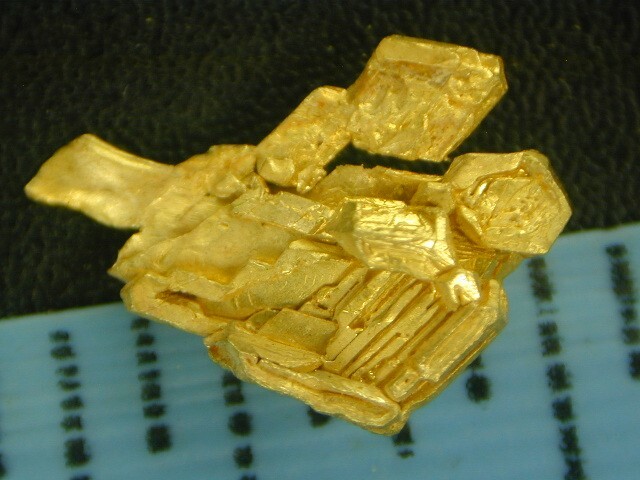 This is one of the two or three hoppered octahedral gold specimens that I have ever had for sale. It has some trigons in there as well. This one is over 3/8" long. I really don't know where you will have another chance at buying such unique gold specimens for your collection. I have a very limited quantity of these, so get them while you still can.